holy crap rod! 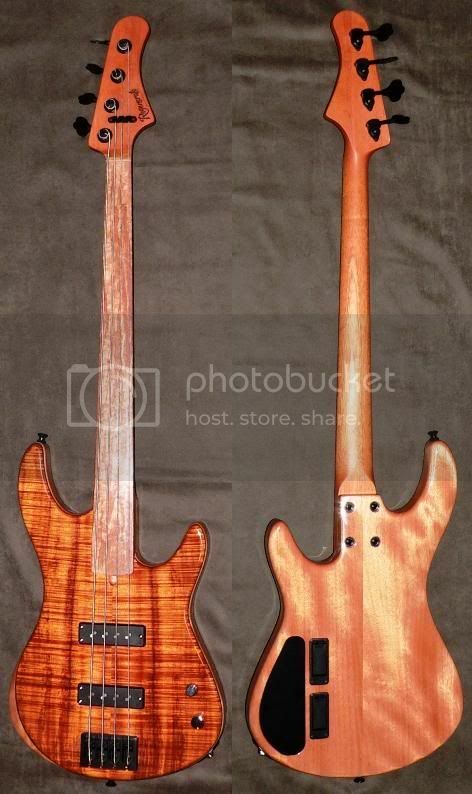 forget anything ive ever posted on here about wanting a singlecut bass, when i have the money for a custom bass you have my buisness, one question though, i havent seen any on here or on your site, do you make 6 strings? 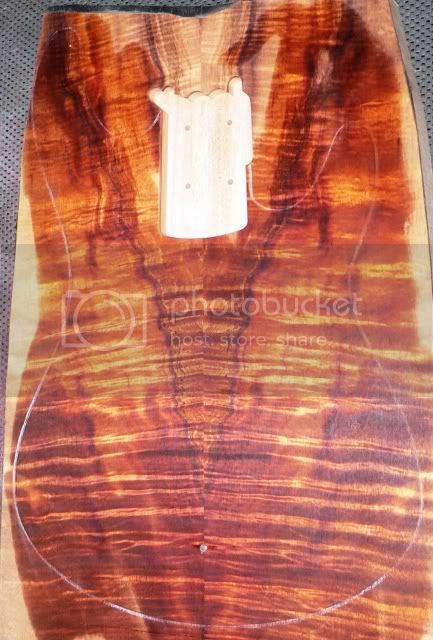 The grain pattern right next to the neck pocket looks like a cat's face. Rod, that top looks so good it would be a shame to route any pup cavities in it! 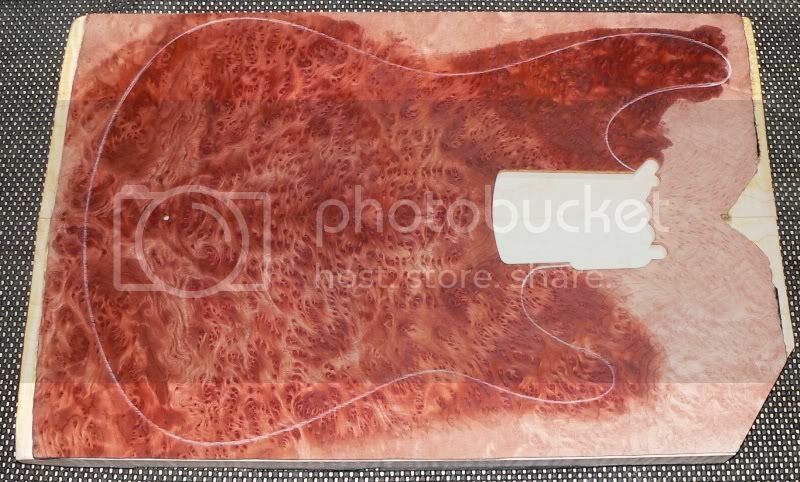 Maybe you should make this one a piezo only config and leave that top unrouted! I'm officially on forced leave at my day-job beginning Wed afternoon Dec 15th and running until Jan 3rd. I'm sensing a whole lot of projects nearing completion will be getting wrapped up during this time. to quote ray ramano when he hosted saturday night live "SWEET SASSY MALASEY!" a quote from "fiddler on the roof" " IF I WERE A RICH MAN "
Maybe you can save the routed wood and get matching pup covers made? Stunning! I love the V-neck wood grain running down below the neck pocket. Killer B string, I couldn't believe how nice it felt.